Brackish water pools around the edge of the dome, where sections of concrete have started to crack away. Underground, radioactive waste has already started to leach out of the crater: according to a 2013 report by the US Department of Energy, soil around the dome is already more contaminated than its contents. But who could have imagined this might happen? Certainly not the apple-cheeked civil engineer Pollyannas who built this laugher. But with any luck, they’ll all be dead before they really have to face the music. You see, that’s the way some of these grand civil engineering projects work. Fingerprints don’t matter, because hey, all the perps are dead anyway! The figurative descendents of the designers of the Tomb are around, though, and they work for PolyMet. Well, not directly; they’re actually paid by you and me, the taxpayers. Which is just extra frosting, right? You might be dismayed to learn that the same Panglossian crew that designed the faulty drain plug at Mount Polley is advising regulators in Minnesota about PolyMet’s plans to rehab an already leaking taconite tailings dam for use in PolyMet’s proposed sulfide mine. These engineers are working hard at walking away from it now, of course. Knight Piésold describes itself as the “former engineer of record of the tailings storage facility at Mount Polley,” and said that it informed Imperial that it would no longer continue in that role as of February 2011. 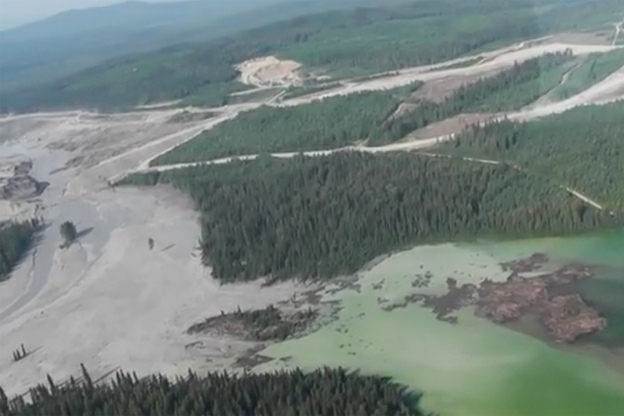 Knight Piésold commented that during the time it acted as engineer of record, the tailings storage facility at Mount Polley “operated safely and as it was designed,” and was subjected to multiple third-party reviews. It actually operated safely until the moment it didn’t.